In tight backyard lots with no room or access for heavy equipment, the sectional design of the Intelli-Pole® composite utility pole increases safety while reducing installation time and costs. Each lightweight section can be hand-carried into difficult-to-reach sites and assembled by hand — with no special equipment or process needed. The Intelli-Pole® can even be assembled vertically in-place using only manpower with our Pole Gin tool and no other equipment. If a right of way has obstructions or communication lines that prohibit tilting up a conventional pole, the short sections of the Intelli-Pole® enable safe and easy maneuvering around existing infrastructure without additional effort or expense, saving you time and money. The Intelli-Pole® composite utility pole provides an excellent solution for sites with no roads and challenging terrain, such as steep slopes, high peaks, and ravines. The lightweight, sectional Intelli-Pole® costs less to transport and can be assembled on-site by hand. With an assembled weight under 1,000 lbs. (454 kg), our pole can be lifted into place using a light-duty helicopter, lowering installation costs. The Intelli-Pole® can even be assembled vertically in-place using only manpower with our Pole Gin tool and no other equipment. Once set in place, the Intelli-Pole® requires zero maintenance over a lifetime that last 2x-4x longer than conventional wood poles. Meanwhile, our composite pole is immune to natural threats including rot, insects, birds, wildlife, and corrosion from the elements. The Intelli-Pole® composite utility pole is constructed from composite materials with a high strength-to-weight ratio to withstand extreme stress loads generated by severe weather threats including hurricanes, tornados, and heavy ice in winter storms. 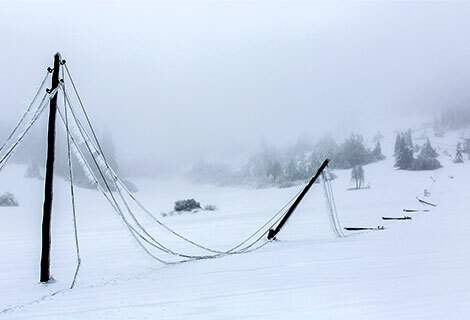 The Intelli-Pole® is wind-rated to over 180 MPH (290 km/h) and withstands weather conditions that overwhelm conventional poles, leading to cascading pole failures and power outages that are disruptive, dangerous, and costly. 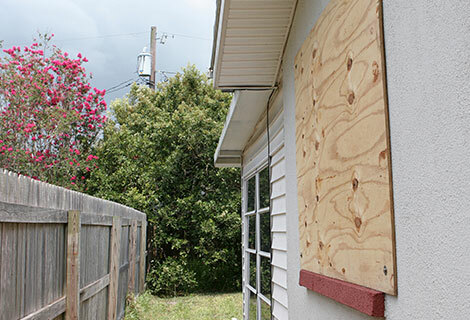 Our sectional, lightweight design is also ideal for storm restoration — easy to load, rapid to install, with truly interchangeable sections that allow replacement of damaged segments only. 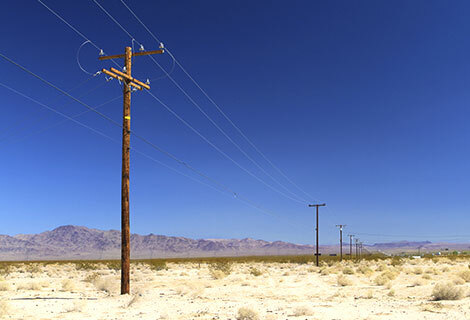 In regions from the coast to 100 miles (160 km) inland, utility poles suffer the corrosive effects of salt-air, humidity, and UV. To defeat these threats, the Intelli-Pole® composite utility pole is constructed from electrical grade corrosion resistant (E-CR) fiberglass and specially-formulated no-VOC vinyl ester resin with integrated UV protection to provide a corrosion-free, rot-free solution. High strength-to-weight from composite materials and reliability-based design means a more dependable grid in the face of high-winds such as hurricanes and severe thunderstorms with fewer outages, fewer cascading pole failures, and quicker restoration of power after storms. Conventional wood poles must be treated and re-treated with hazardous chemicals just to slow biodegradation. By contrast, the Intelli-Pole® composite utility pole is corrosion-free and rot-free without toxic preservatives or volatile organic compounds (VOCs) that can leach into soil and groundwater. 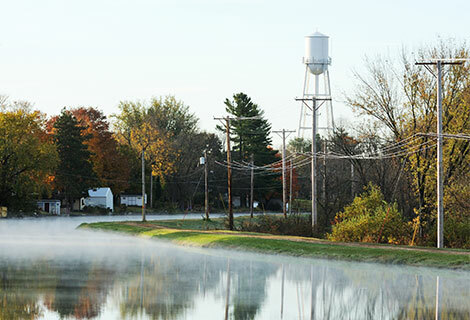 The chemically inert Intelli-Pole® is ideal for sensitive ecosystems like wetlands, watershed, and waterways. 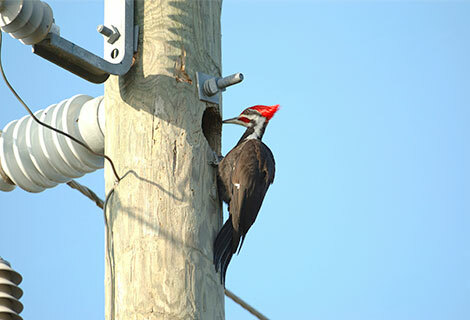 The Intelli-Pole® composite utility pole is impervious to natural threats that degrade conventional wood poles such as fungi, insect infestations, and wildlife. The fiberglass and resin construction of the Intelli-Pole® is immune to damage from ants, termites, and birdlife — including woodpeckers, the #1 threat to wood poles. The smooth surface of the Intelli-Pole® discourages climbing by small wildlife such as squirrels, reducing animal-related outages. 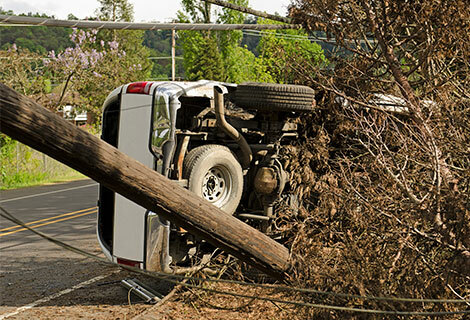 On roads prone to high accident rates, collisions can take down power unexpectedly at any time. 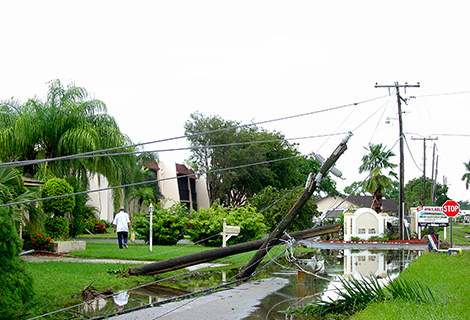 The high strength-to-weight of the Intelli-Pole® composite utility pole absorbs more energy and offers greater resistance to impacts, while lighter poles reduce the risk for wires to be pulled down by cascading pole failures. The Intelli-Pole® is non-conductive, lowering the risk of injury following impact. Our sectional, lightweight design is easy to load and rapid to install with truly interchangeable sections that allow replacement of damaged segments only — minimizing outage time. 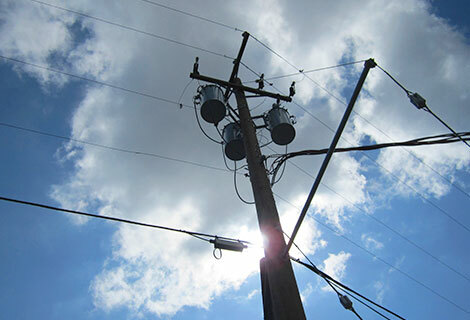 Conventional pole materials leave infrastructure — like smart grid equipment — external to the pole where it is vulnerable to theft or tampering, affecting grid stability and maintenance costs. By contrast, the hollow design of the Intelli-Pole® composite utility pole provides a secure internal space to conceal and protect smart grid equipment and wiring, which can exit below ground to minimize exposure and vulnerability to threats from people and the elements.